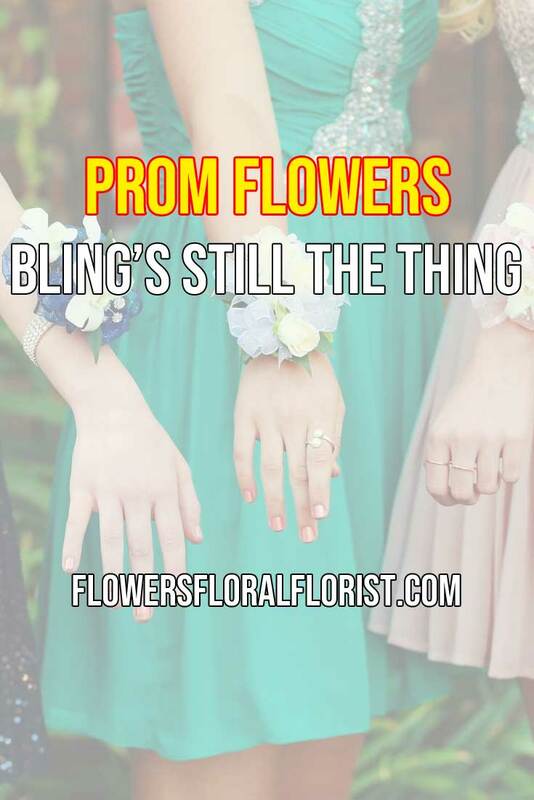 Prom Flowers 2018 – Bling’s Still The Thing! With prom season just around the corner, some of you may be interested in what’s trending in prom flowers this year. From everything I’ve seen, read and heard, it will again be all about the “bling”, but with a few interesting new twists. From new styles of beaded and jeweled bracelets to all types of unusual accents, the use of fashion flower jewelry will be front and center again this year. Here’s a short video showcasing some of the latest prom flower trends for this season. I think you’re going to come away with a few ideas. Take a look and see if you agree with me! Awesome corsage ideas, don’t you think? I hope you enjoyed it! Many of the floral bracelets, accessories, and accents featured in the video are from Fitz Design, who has the hottest product line for proms and weddings used today by floral professionals. If you are thinking about making your own corsage, you can find a great selection of their corsage bracelets on Amazon. And while we’re on the subject, the flowers used in the corsages and boutonnieres, including dendrobium orchids, can easily be ordered from your local florist. Since you only need a handful of high-quality blooms, that’s what I would recommend you do. Having said that, there are several more posts I’ve come across that feature some unique floral ideas using some of the new fashion flower jewelry and accessories that might interest you. Prom flowers: Would You Like Ribbons With That Corsage? Only a few short years ago, very few choices were available for Prom. By far the most popular was a wrist corsage with sweetheart roses, Baby’s Breath, tulle and ribbons attached to an elastic cloth band. I’m not sure if it was popular because we really liked it or that was the only choice offered. hmmm…. Hey, one more thing. Don’t be a stranger! I share a lot of cool videos here on plants, flowers, and weddings… and much, much more. And as per usual, your input and feedback mean a lot to me. Let us know what you liked or didn’t like about the video. Use the comments section below.